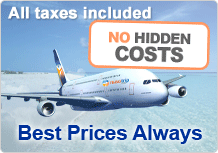 NusaTrip is a fully licensed travel agency company with IATA accreditation. NusaTrip helps millions of travellers book their flights and hotels going to over 180 countries in the world. For leisure or business bookings you get 24/7 support and access to a sophisticated travel engine that finds cheap rates around the world. If you need to cancel your flight booking, please contact Nusatrip.com Customer Support. Depending on the cancelation policy stated in the itinerary, you may be charged a cancelation fee. Changes and cancellations are subject to the rules of the fare that you purchased. We will first review the fare conditions, as some tickets are non-refundable in nature. Before approving your flight booking, it is advised to check again that the dates of departure and destination are appropriate to prevent any mistakes. After the payment has been confirmed and the itinerary appears on screen, there is no chance to change the online booking. If you need to change your flight booking, please call Nusatrip.com (Alternatively, you can call the airlines' local office directly). For amendments, we will check any availability on the dates and flights you wish to travel on. If the ticket needs to re validate/ re issue, you may incur fare difference and airline fees. For ticket reissues, the newly issued ticket will be an electronic ticket. How to change or cancel a hotel reservation? Before approving your hotel booking, it is advised to check again the check-in date and hotel are correct. To prevent any mistakes, make sure to check the cancellation policy applied by the hotel. After the payment has been confirmed, the booking can not change online. For assistance, please contact Nusatrip.com Customer Support to change the online booking. Depending on the cancellation policy stated in the itinerary, you may be charged a cancellation fee. Note that Nusatrip.com does not change any cancellation fee, but the hotel might. We strongly recommend that you reconfirm your flight's departure time and terminal at least 24 hours before departure. This is to ensure that you are aware of your current schedule as airlines do sometimes change flight numbers, departure/ arrival times, as well as terminal. Reconfirmation is done by calling the airlines directly. Will canceled bookings be refunded or charged? Please read closely the "Cancelation Policy" at the bottom of the itinerary to see the terms and conditions for refunds and cancelation charges. Refund will be processed and sent according to the payment method chosen. For more information please call Nusatrip.com Customer Support. What to do if an error is made in flight reservation? During the payment process, acknowledged that you have read and accept the terms and conditions of the fare. Before purchasing, always make sure you carefully review: Passenger information (names), Itinerary details (dates, to/from airports), Policies and fare rules. For details on how to cancel your flight reservation, see "How to cancel a flight reservation". If you realize the error after receiving a confirmation, please contact our Customer Support team to solve the problem. What are the baggage/ carry-on restrictions of fares? Baggage policies vary by airline and per type of class. Some airlines may offer a free bag allowance, and others may charge travelers extra fees for checked and unchecked baggage. Baggage fees are not included in your trip cost and you will be charged directly by your carrier at check-in. How do I make a group booking for a hotel for more than 9 (nine) rooms? If you wish to make a hotel booking for more than 9 (nine) rooms please contact Nusatrip.com Customer Support. How do I make a group booking for a flight for more than 7 (seven) adults? If you wish to make a flight booking for more than 7 (seven) adults please contact Nusatrip.com Customer Support. If I check-out of the hotel a day early, will I be charged for the full stay? If you need to check-out earlier than intended, please contact the hotel directly to confirm if you are willing to refund your extra night. Change and cancellation policies will apply, and the hotel may charge a fee for changing or cancelling part of the reservation. Nusatrip.com will not charge any fees. What to do if I misspell name or other personal data? Before approving your flight booking it is advised to check again that the data you entered is correct. Future mistakes can be prevented by simply logging into Nusatrip.com and completing your personal profile, which will automatically enter your personal details every time you make a reservation. After the payment has been confirmed and the itinerary appears the booking can not be changed online. Most airlines do not allow name changes once the ticket is sold. For any assistance contact Nusatrip.com Customer Support. How to book a room for someone else? You can book for someone other than yourself by entering the guests name in the guest information section. If the name of the guest is included in your profile, you can simply select their name from the drop down list that appears. Make sure to use one of our banking payment solution. Are there cancellation or change policies from Nusatrip.com? Nusatrip.com does not charge a cancelation or change fee, however some airlines or hotels may have a policy regarding a cancelation or change fee. Please read closely the "Cancelation Policy" stated in your itinerary to see what are charges that will be incurred. How do I upgrade my flight or choose seating arrangements? To upgrade your seat to first class, business class, or premium economy, or to choose seating arrangements, please contact the airline directly. Have your flight and reservation information handy before you call. Please note that upgraded seats and seat selection are subject to availability and generally cost more than flying in economy class. Some airlines offer seat selection during check-in. Can I transfer my airplane ticket to someone else? Airline tickets cannot be transferred to another passenger. If you must cancel your flight, please refer to your ticket's change and cancellation policies in the itinerary. Most airline tickets are non-refundable, and most airlines impose fees for changing or cancelling the ticket. What do I need to check-in for my flight? For domestic travel, print out your itinerary and take it with you to the airport. The itinerary has all the information you need to check in. In addition, you also need to present your personal ID card or passport (for international flights). Some airlines offer online check in, so you need to print out your boarding pass within 24 hours before your flight departs. Can I add another traveler to my flight reservation? To add a person to your flight reservation, you need to create a new booking and new itinerary. You can add other travelers to your Nusatrip.com account in the "My Bookings" section. Under the "My Contacts" tab, click the "Add Contact" button to add the new travelers contact details. The airline cancelled my flight. What should I do? If for some reason your booked flight has been canceled, as a courtesy, Nusatrip.com's Customer Support will make every attempt to notify you of the changes via email or phone, prior to departure. You will be offered the option to change the flight to a later option or to cancel the flight and receive a full refund. Can I make special requests for my hotel room reservation? Yes, Nusatrip.com will gladly pass special requests along to your hotel, but please note that we cannot guarantee the requests, and they may incur additional charges. To enter special requests, after selecting the hotel and room type, in the Hotel Information section, click the Special Request button then enter your request in the Note for Hotel space given. Why should I login to Nusatrip with Facebook? Will the email address for my Nusatrip.com account change when I connect and log-in with my Facebook account? No, the address you use for your Nusatrip.com account does not change when you connect your Nusatrip.com account to your Facebook account, even if the Facebook email address is different. Is my Nusatrip.com information posted on Facebook when I login with my Facebook account? No, Nusatrip.com does not share information or activities on Facebook when you login to Nusatrip.com using your Facebook account. The best way to add additional rooms after the itinerary has been issued is to book the confirmed hotel again make a new reservation for the same travel dates. Nusatrip.com does not offer the option to add rooms once the itinerary has been issued. How do I choose a hotel according to my fixed budget or prefered star rating? Having selected your destination, you can select the price range of the hotels by sliding either the left or right tab in the Room Price, under the heading Filter Hotels. Furthermore, you can also select the the star rating of the hotels by sliding either the left or right tab in the Star Rating, under the heading Filter Hotels.